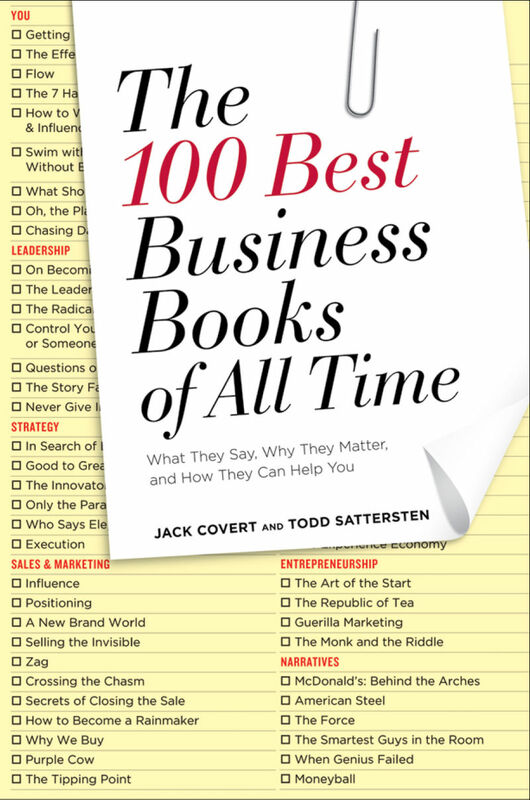 Todd Sattersten is co-auteur van The 100 Best Business Books of all Time. Tijdens de voorbereidingen van dit boek – één boek per week lezen en samenvatten – leerde Sattersten allerlei manier om selectiever, sneller en beter te lezen. Z’n bevindingen lees je in dit manifesto op ChangeThis. Spend more time choosing books to avoid reading wrong books. Recommendations reduce the noise. Suggestions from friends and colleagues are best, because they know you and your circumstances. 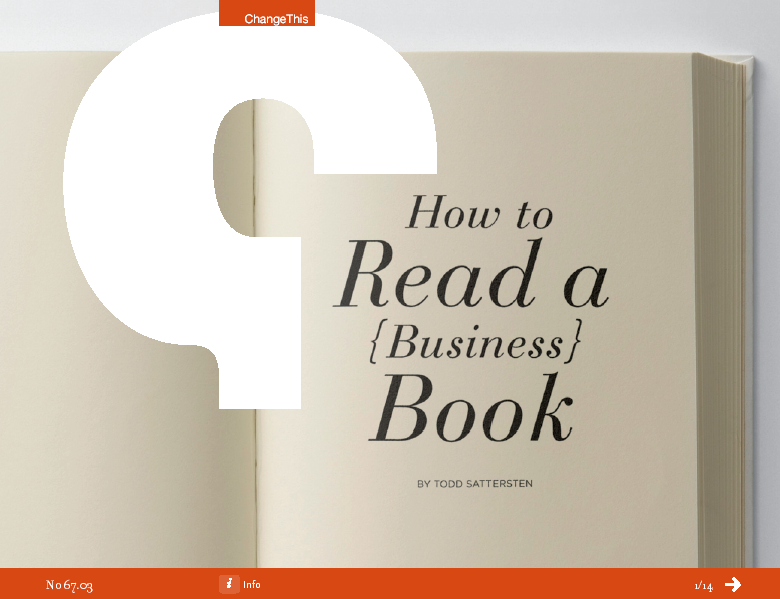 Reliable media sources that regularly review business books, like The Wall Street Journal and BusinessWeek, are also a great source for slimming the pile. Blogs, tweets and Facebook statuses can be just as valuable. Search for the promise the author makes. Start with the cover. Next, quickly scan the table of contents. Read the introduction, the most important part of the book. The end can be a great place to start. Start with the index. All the key concepts should be easily recognizable. Read as much for others as yourself. One of the best ways to improve retention of the material you are about to read is to imagine yourself having to tell someone else about it. The act of imagining yourself as teacher completely changes the way your read. As you turn the pages, you start to anticipate what would be most interesting and applicable to you “class”. More books read means more understanding gained. Books are about context, the greater meaning. Being able to connect multiple books together improves our ability to compare and contrast approaches and philosophies. You only need one good idea. Set the goal as something very modest. One good idea. That’s all you need.